About: Hampstead Community Florist provides flowers and plants for a variety of occasions including christenings, birthdays, Mother's day, weddings and funerals. 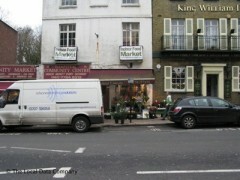 I had a wonderful experience at Hampstead Florist. The girls who work in the shop are fantastic and produced a wonderful bouquet with a beautiful choice of flowers - I highly recommend this shop.